Valentine’s Day and a long weekend is on the horizon. Spend less time traveling and more time doing what you love with an overnight in Thurston County. Whether it’s indoor or outdoor adventures you crave, February is all about cozying up or getting outside in between rain showers. When it comes to scenic views, Thurston County offers the unique juxtaposition of urban vistas with the iconic dome of the Capitol Building to views of Puget Sound in all its glory. A variety of trails offer simple or strenuous hikes while cozy guestrooms provide similar scenes with creature comforts. Whether it’s a glass of red and a cozy nook or a winding trail (or both), it’s time to choose your own adventure. Work for the view. Just outside of town, an easy jaunt through Priest Point Park provides the unique vantage point of urban skyline to the left and Puget Sound to the right, while the challenging Capitol Peak Trail at 2,500 feet in elevation rewards hikers with sweeping views from Mount Rainier and the Pacific Ocean. Storm watchers and beachcombers enjoy Tolmie State Park’s three miles of trails set among 105 acres of land and a wide expanse of beachfront (ideal for sunsets!). Burfoot Park’s 1,100 feet of beach and adjacent nature trails provide views of the State Capitol or the Olympic Mountains. 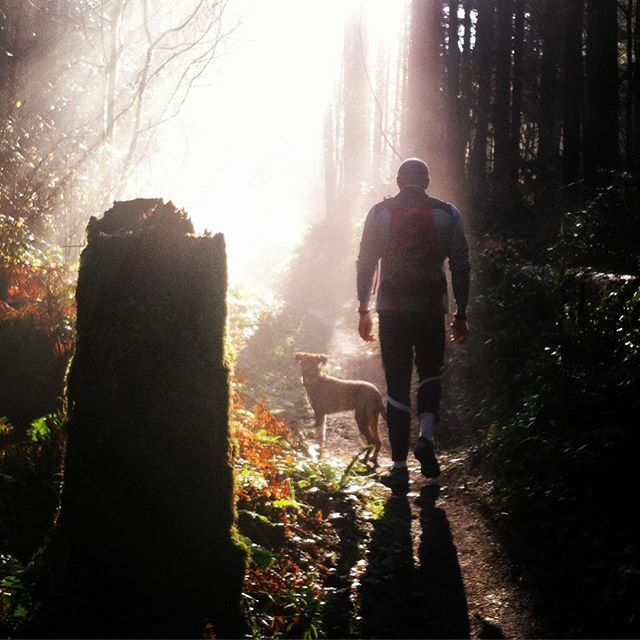 Mima Falls, an easy 6.5 mile roundtrip trail through the Capitol Forest rewards hikers with waterfall views. For those who enjoy the great outdoors from indoors, the Inn at Mallard Cove provides telescopes to get up close and personal with bald eagles or to watch fresh oysters being harvested just off-shore. 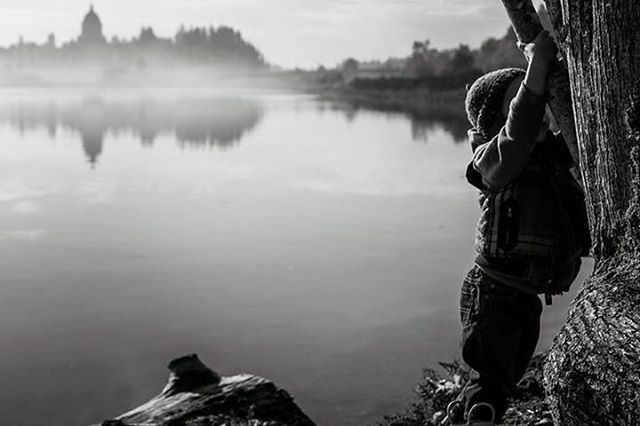 Guests may also opt to stroll down a gentle nature trail to the 900-foot private beach and from there, by foot or by kayak, roam the natural beauty and wildlife of the Nisqually Estuary. Book the Deschutes Room at downtown Olympia’s Swantown Inn & Spa to enjoy a unique angle of the Capitol Building’s dome before heading up for a spa treatment or downstairs for what’s arguably the best breakfast in Oly. The recently renovated Governor Hotel is a boutique property inspired by the history of the Capital City. Several view rooms face the State Capitol, Capitol Lake, Puget Sound and the Olympic Mountains. Plan your getaway with a variety of guestrooms and lodging options detailed at www.visitolympia.com. 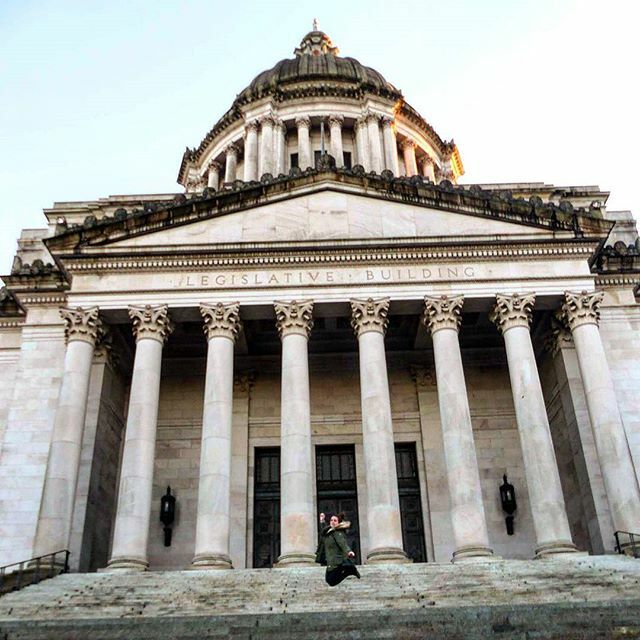 Connect on Facebook, Twitter (@VisitOlympia) and Instagram (@Visit_Olympia). Bring friends or make new ones downtown in Olympia. Speakeasy-style Dilingers, housed in the 1920’s era security building, serves up inspired craft cocktails and an eclectic, locally-sourced menu. Make sure to follow the Dilingers Facebook page for drink specials, live music and tasting events. Rhythm and Rye is the perfect spot for entertainment and a frosty pint where live performances of all kinds delight guests. Snag a table for two at the cozy Swing Wine Bar housed in a converted bungalow overlooking Capitol Lake. Peruse a wine list with the largest selection of glass and bottle selections in the South Sound paired with a rotating menu of fresh fare. In downtown Lacey, the renowned steak house institution Ricardo’s will be a hot reservation for Valentine’s Day weekend. Try something new, and perhaps you’ll meet someone new. A variety of classes throughout the region suit a range of interests from booze to beads. Blind Pig Spirits offers a Moonshine 101 class, a hands-on workshop that teaches distilling basics and includes a batch of booze and a t-shirt. The world’s largest selection of beads resides in Thurston County at Shipwreck Beads. Hone the craft and meet fellow crafters at a variety of classes taught by experts and visiting artists. Current options include Beading 101 or an Introduction to Precious Metal Clay, where students will create beautiful jewelry from soft, workable "clay like" silver. Search “classes” in the tool bar at www.shipwreckbeads.com to view the current schedule. Bayview School of Cooking teaches the basics of culinary arts with visiting chefs and experts. Classes usually include wine pairings and focus on different styles of cuisine – from sushi to gnocchi. Click here for a schedule of events.